Nothing is more beautiful than looking out your window to see the bright red of a cardinal or the lovely colors of a blue jay perched on a bare winter branch. Bird watching in the winter is an amazing experience, and even the chatter of a chickadee can bring a smile to even the grayest winter day. While most folks enjoy cold days snuggled up warm and dry in their homes, winter is the ideal time to venture outside to bird watch. The bare trees make it easier to observe birds in their natural habitat, making winter the best time to sharpen your bird identification skills. 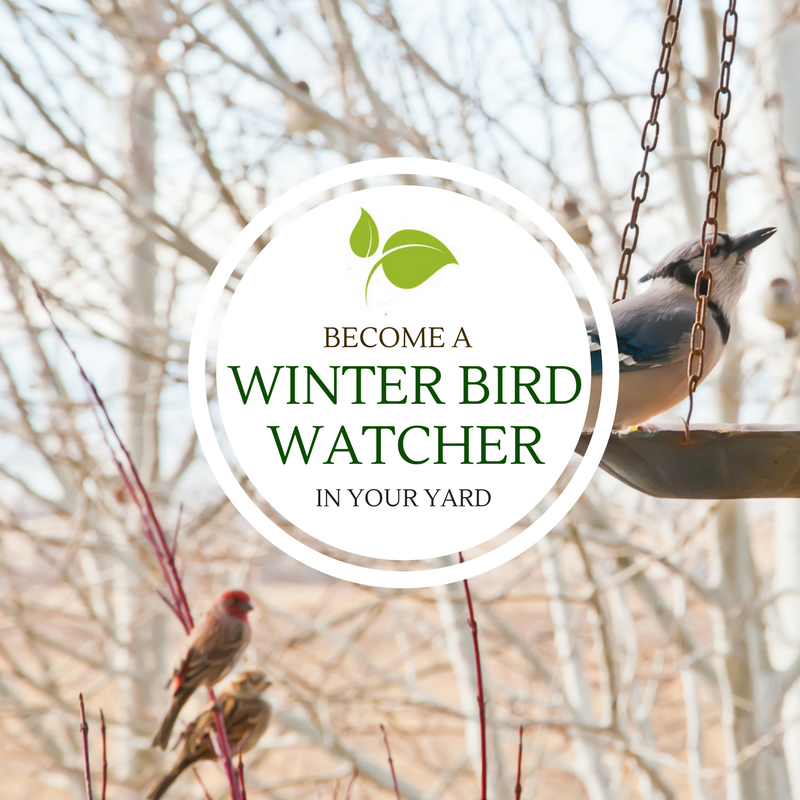 Here are a few tips to make your backyard winter bird watching a success. Bird feeders, unfrozen bird baths, and suet feeders are all ideal for attracting birds to your yard. Provide food and water every day. Once birds realize your yard is a consistent feeding stop they will keep coming back. Stop by Wings & Things located inside the Produce Market at Wingard’s Market for a complete line Cole’s Birdseed and Suet, perfect for winter feeding. Position your bird feeders in a sheltered corner of your yard that is protected from winter winds. Plant native trees where they can be seen from your windows. Leave stocks of wildflowers on throughout the winter such as dried flower heads of asters, coneflowers and other native plants for birds to feast on when other food is scarce. Wildflower stalks also provide places birds can seek refuge from storms and predators. Invest in a pair of binoculars so you can get up close to the birds that visit your backyard. If you’re a new bird watcher, winter is the ideal time to begin. Your yard is quiet this time of the year, and it’s easier to chart and log what you see before the onslaught of migrating birds starts showing up. Make it an enjoyable winter pastime that involves the whole family. Make a chart and leave it on a clipboard by your favorite viewing window. By keeping good notes of what you see you may uncover a pattern as to when you see the most birds in your yard. You’ll learn the behavior of the birds that call your backyard home, and over time you’ll find out how to keep them coming back year after year. In our South Carolina yards, you can expect to see one or all of the following species. How many can you log from your own backyard? If you want to enjoy bird watching even more, here are a few Apps and Bird Watches you may want to check into. The Cornell Lab of Ornithology runs citizen scientist programs called eBird and NestWatch that let people report the species of birds that you see in your yard. Here at Wingard’s Market, we specialize in providing outstanding customer service, offer professional gardening advice, and answers to your everyday gardening questions. Stop by and visit our Beautiful Gift Shoppe and Fresh Produce Market while you stroll under century-old pecan trees. It’s truly a Garden Wonderland!